Apollo's FS1680 Air Feed Tube is designed for use with their gravity-feed cup spray guns. Each 12-in. tube contains both a non-return check valve and an air-relief valve. Can be used on most gravity-feed systems where a check valve is required. Be sure to always use genuine Apollo brand accessories for the best protection and performance of your Apollo Sprayers system. 5-pack. Five-pack of Apollo FS1680 12-in. 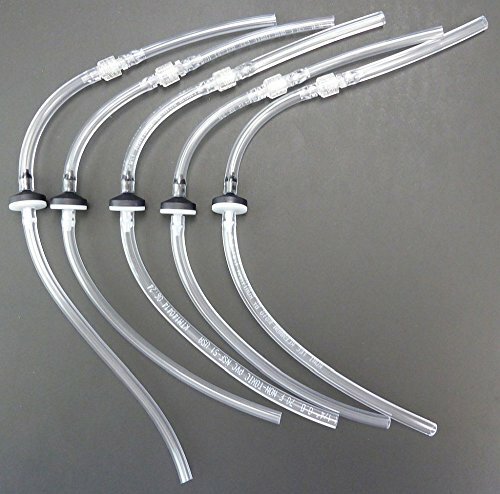 air feed tubes with non-return check and air-relief valves. For use in gravity-feed cup spray guns. Works in most gravity-feed cup guns that require a check valve. Please follow replacement recommendations in owner's manual for best protection and performance. Be sure to always use genuine Apollo brand accessories for the best protection for your Apollo Sprayer System. If you have any questions about this product by Apollo, contact us by completing and submitting the form below. If you are looking for a specif part number, please include it with your message.